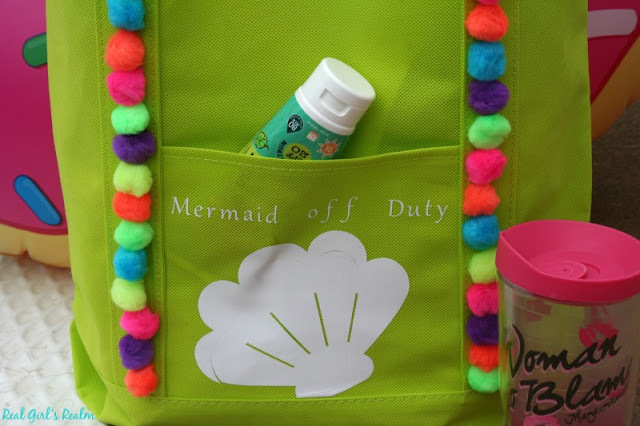 We are headed to the beach in a couple of weeks and I can never have enough tote bags to carry our towels, snacks, and other beach essentials! I picked up this plain, neon tote on a recent trip to the Dollar Tree with the plan of making it cute! 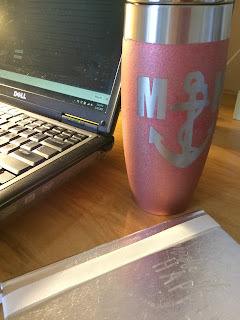 I decide to use my Cricut Explore Air and Iron-on Vinyl to "mermaid" it up a bit! 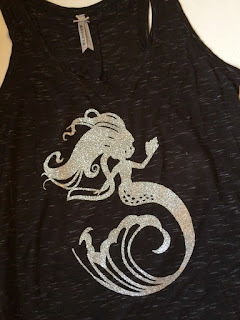 Last year at the beach, I bought a tank top that said "Mermaid Off Duty" which is why I picked that saying. 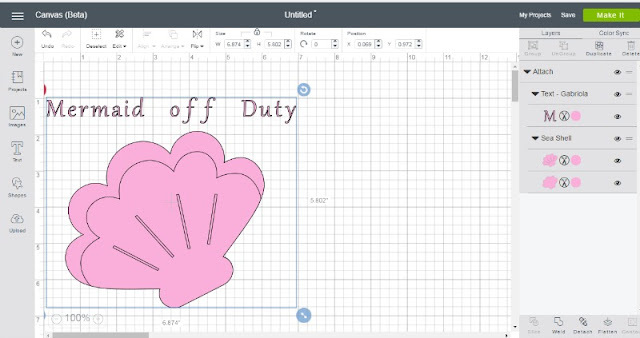 I wanted to keep the design simple, so I chose a clam shell image from the Cricut Library. This was my first project using the NEW Cricut Design Space and I liked how well the "Search" feature worked. 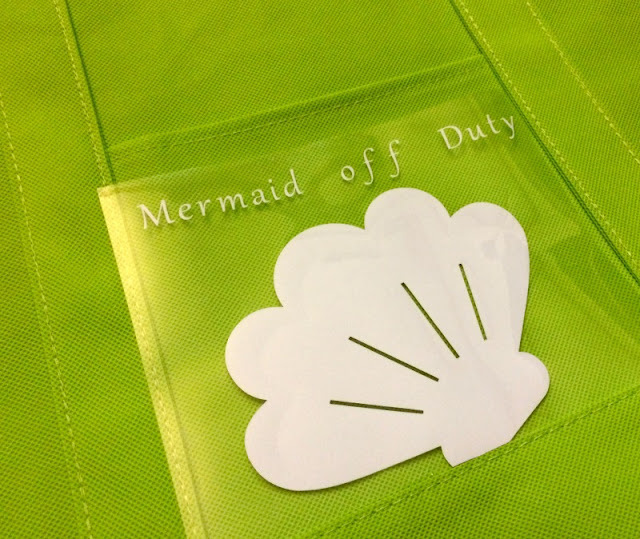 First, I inserted the clam shell image. Next, I added the text. It took me a minute to figure out how to edit the text since the menu option was not in the right hand side bar like in the old Design space. 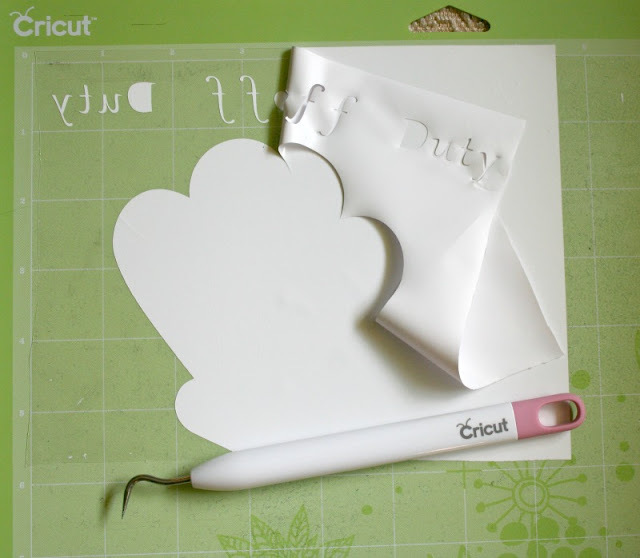 I also could not find any Free Cricut fonts, which I am sure I was just missing. 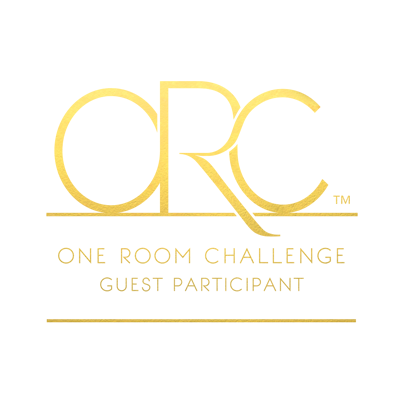 If ya'll have used the new Design space, help a sista out in the comments! After I got everything sized correctly, I used the Attach feature in the bottom right corner to make it all one piece so I could easily transfer it to the bag. Don't forget to mirror it before you cut! 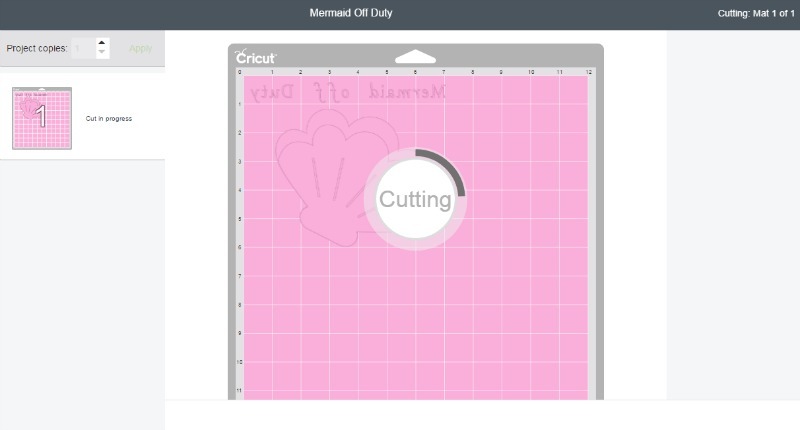 I like that in the new design space, it gives you a progress circle while the machine is cutting, so you know the status. 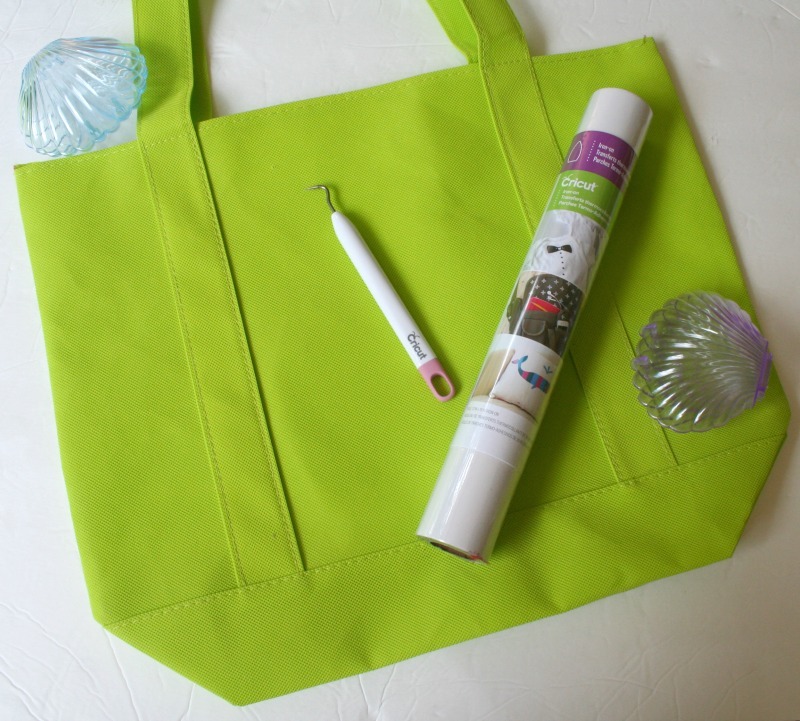 Weed the un-needed vinyl from the liner and place the design face down on your tote bag and use the iron to apply the design. You can get full instructions on how to apply Iron on Vinyl HERE. Decide where you want to place your pom poms. I did a random color arrangement up both sides of the straps. Apply a bead of fabric glue then place the pom poms on it. Let dry overnight. 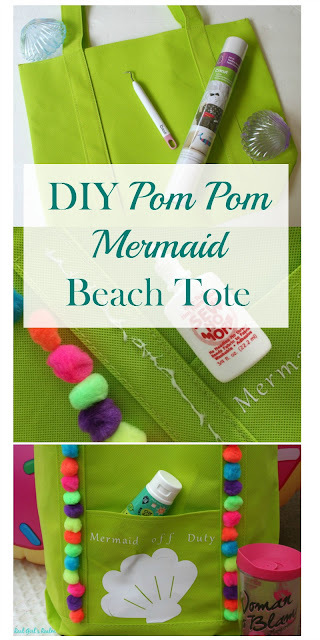 I actually like the addition of the pom poms, since it adds interest to this plain tote! Now I have to come up with some more projects for the left over pom poms! What saying would you put on your beach tote? If you like this Mermaid Off Duty design, you can get it HERE. What a fun tote! I just love pom poms! 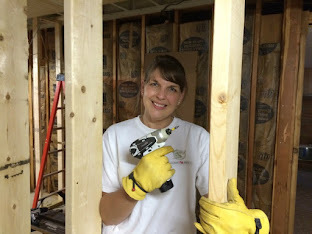 Thank you Becky! 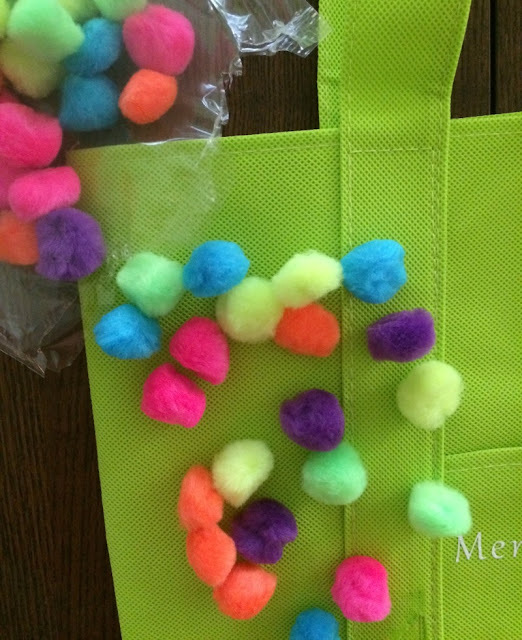 I have been wanting to do a pom pom project! 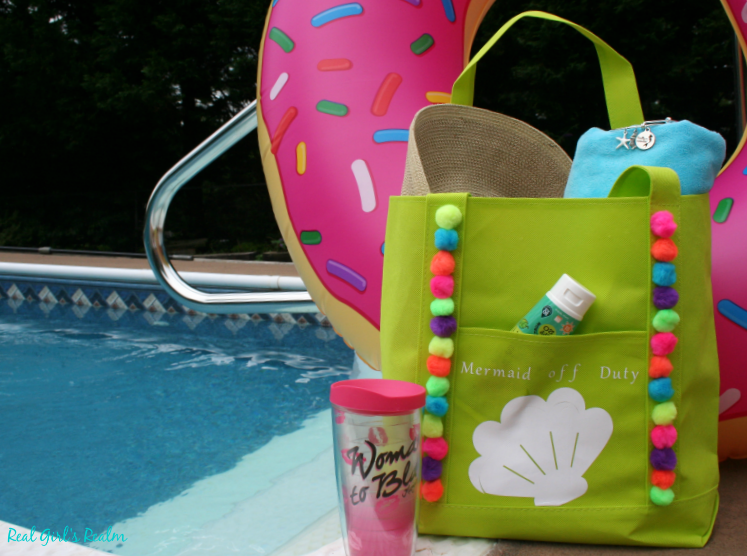 Love this fun tote! It's perfect for summer expeditions! Cute! Let us know how to poms hold up on the bag during your trip. I am always unsure of how long no-sew glue lasts. The pom poms held up great! 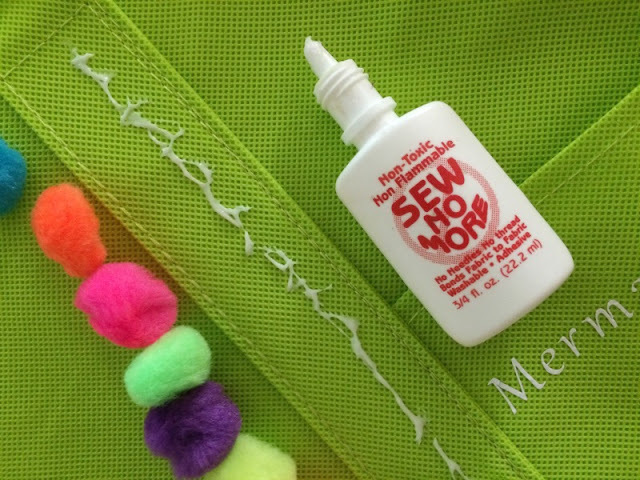 This no-sew glue works really well...I have used it on several things and it has held up!